Medinah Country Club, one of America’s most iconic golf facilities and the host of seven national and significant championships during its 93-year history, unveiled its Course No. 2, following a year-long restoration. The purpose of the redesign of Course No. 2, which originally opened in 1925, was to restore – as applicable to the modern game – its original Tom Bendelow design, by improving its most significant features to remain relevant to the game as it is played today. Medinah’s other two Bendelow original designs, Course No. 1 and Course No. 3, also were significantly changed through modernization and updating, in 2014 and 2012, respectively. There have been no major routing changes, notable grading, or topography changes made to Course No. 2. Rather, most of the work was focused on green complexes and bunkers, relying on aerial photographs from 1938 to determine their original sizes, shapes, and locations. 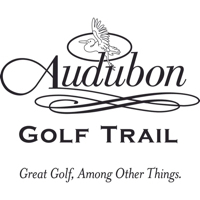 The total area of fairways and approaches increased by more than 50 percent, from 21 to 34 acres, with some of the widened corridors connecting on adjacent holes – a unique feature today, but not uncommon during golf architecture’s “Golden Age” nearly 100 years ago. Medinah’s Director of Golf Course Operations Curtis Tyrrell, CGCS, MG, working with Golf Course Architect Rees Jones and his associate Steve Weisser – and with the 80-year-old photographs as the ultimate guide – removed some bunkers and bunker complexes while others were reintroduced. Greens complexes were restored to feature Bendelow’s original contouring, accentuating generally longer, deeper, taller and more pronounced putting surfaces. The work on Course No. 2 also included the ongoing improvement of the club’s infrastructure. 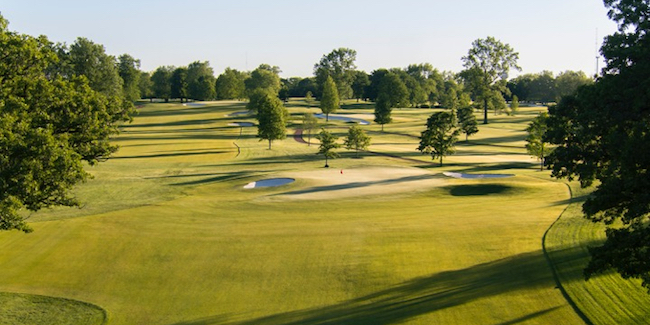 For the past decade, Medinah Country Club has allocated a major investment to the modernization of its greens, tees, fairways, and bunkers, as well as enhancing draining and storage capabilities and the overall growing environment. Fairways were rototilled, graded, and reseeded. * Greens, tees, and fairways were replanted with the same Creeping bentgrass; the rough with Kentucky Bluegrass. * Course No. 2 was designed with another unique feature: a total of seven tees to accommodate every different skill level in Medinah’s golfing community. The seven tees interact with four skill groups that correspond to a newly created system, sorting golfers based on a number of criteria including, but not limited to, handicaps, age, gender, distance, and level of interest. Medinah’s professional staff will segment members into appropriate groups, create teaching programs specific to each group, and organize tournaments, clinics, and other functions based on these one-of-a-kind segmentations. Perhaps most important, the multiple tees/skill segments will allow every golfer to record measurable data, see improvement and follow a comprehensive instruction plan. For additional information, call (630) 773-1700.